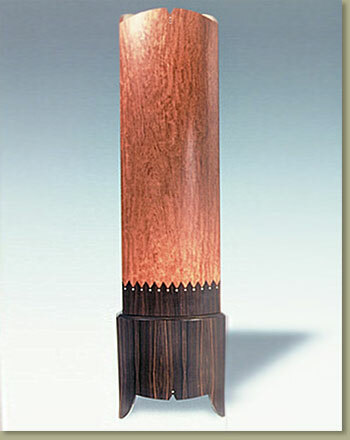 Bubinga, macassar ebony, birdseye maple, mother of pearl details. Vacuum-formed curves, lighting inside the cabinet. One of seven pieces for a private residence. 80" tall.